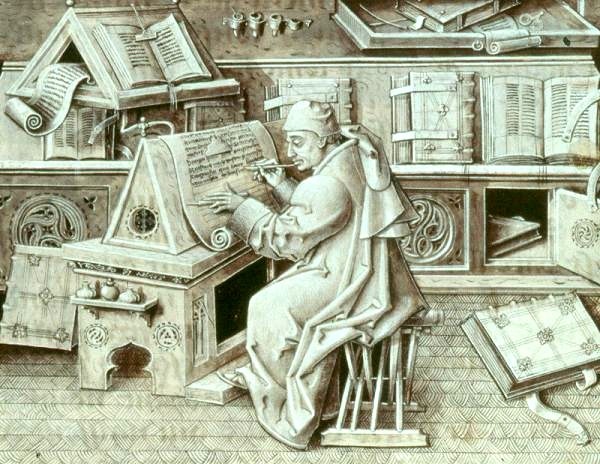 This page explains the DOR Scribe. (See 2d Peter 3:15-16 NIV, emphasis added.) Note especially the part about God “wanting people to be saved.” That’s a departure from some of those noisy Christians who imply they’re in an exclusive club of a “select few.” (See e.g., Why the bumper sticker, “I’m not perfect, just forgiven” could be a ticket to Hell.”) The point being: I’m not alone in thinking some of those trite bumper stickers are really stupid, if not counterproductive. If you feel the same way, you just might like this Blog. My background as a “Scribe” includes a heavy dose of Daily Office Readings. That’s where the “DOR” part of “dorscribe” comes in. As for credentials, I’m now on my 13th trip through the Bible via the Daily Office readings. And, based on the paragraph above, I’ve been through the psalms and Gospels some 45 times each. I’ve also completed the four-year Education for Ministry course – see EFM – Sewanee: The University of the South – and have been trained as a Mentor for that course. Either way, the assigned Bible readings can provide a basis for “waxing poetic” on how the Bible can be a useful tool for living life, and living that life “in all it’s abundance.” (John 10:10.) On that note, check Some Bible basics from Vince Lombardi and Charlie Chan, which included a quote from “that great philosopher Charlie Chan, who once said, ‘Mind like parachute. Work best when open. . .‘” That’s my philosophy too. The top “Scribe” image is courtesy of: upload.wikimedia.org/wikipedia/commons/0/00/Escribano.jpg. The lower image was borrowed from the post, On “broadminded,” spelled “s-i-n.” The image shows the cover of an old Louvin Brothers album. And finally, I’ll be referring frequently to Asimov’s Guide to the Bible (Two Volumes in One) The Old and New Testaments, Avenel Books (NY), 1981 Edition, which has served as an invaluable source.